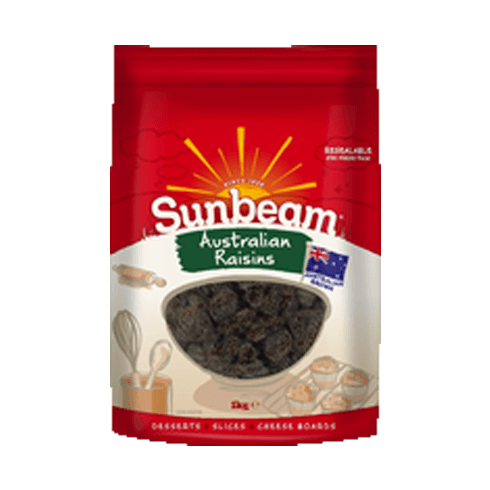 We are incredibly proud of our very unique Raisins! They are different to the others as we select only the Waltham Cross and Lexia grape varietals. 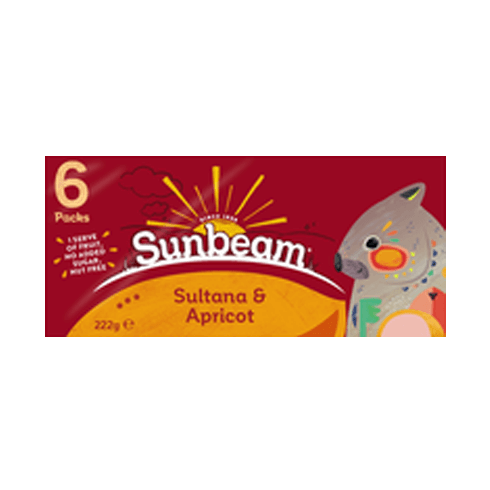 These berries are the largest in size and have a sweet, muscat flavour that gives your baking a big, dynamic flavour – they’re brilliant on cheese platters too! 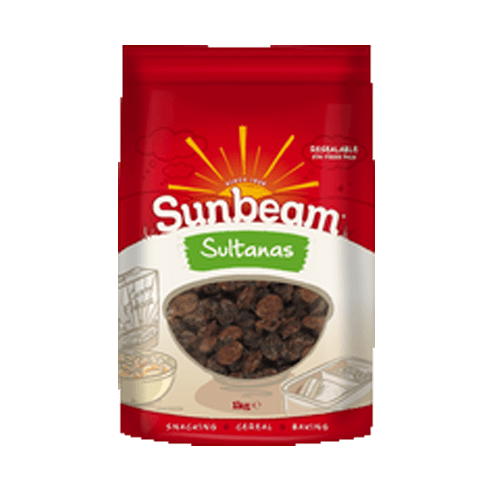 As well as their great flavour Sunbeam Raisins are also a source of Fibre for digestive health and healthy tummies! 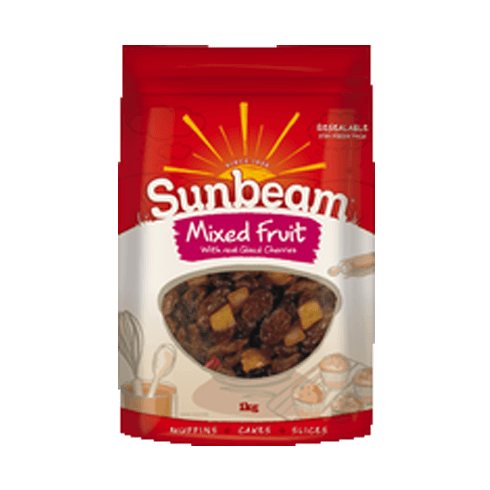 Add a handful to your muffins for a healthy fruit boost!